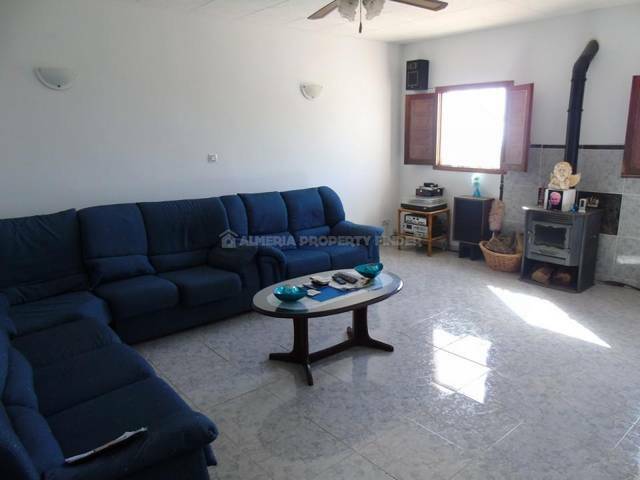 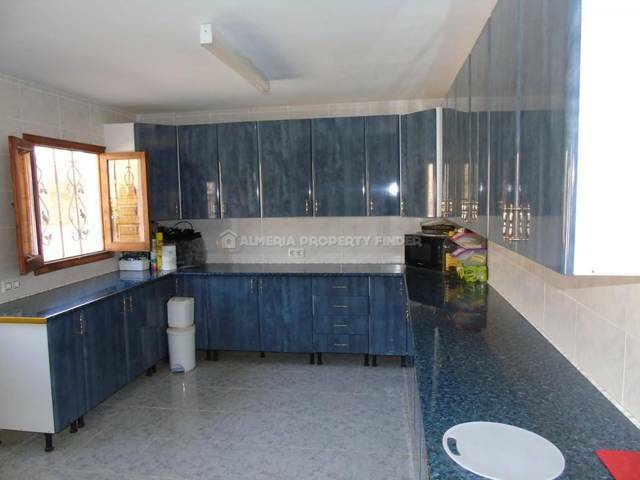 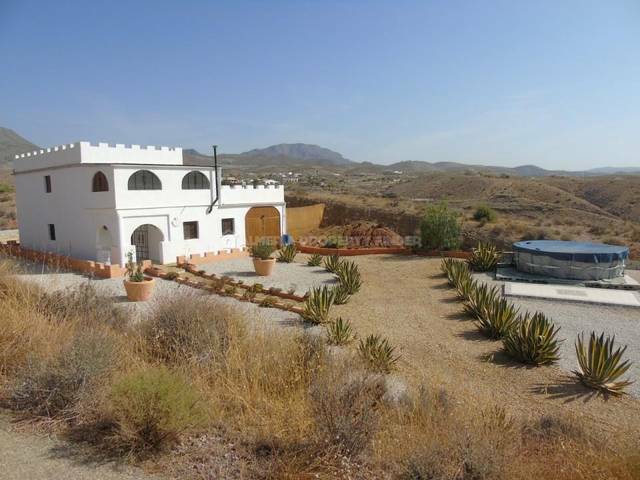 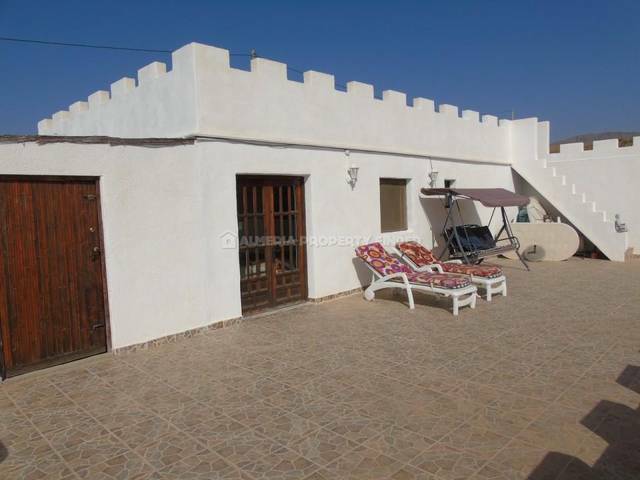 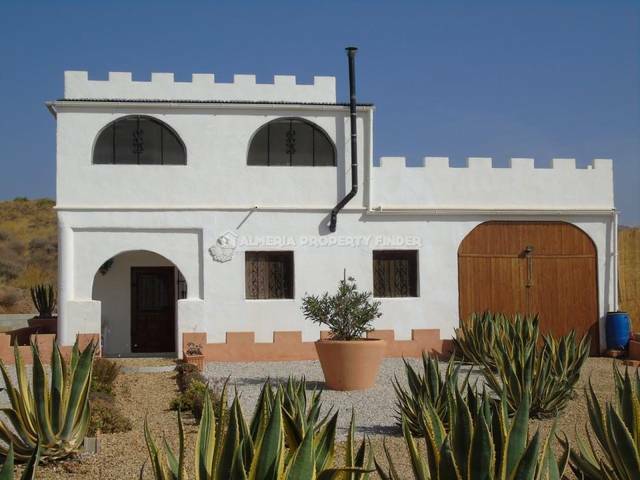 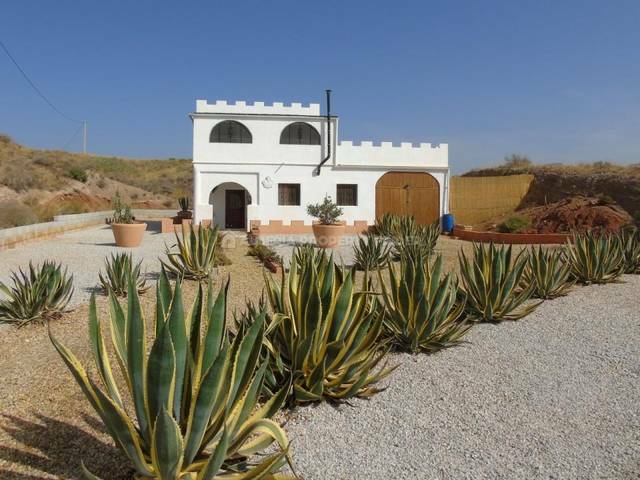 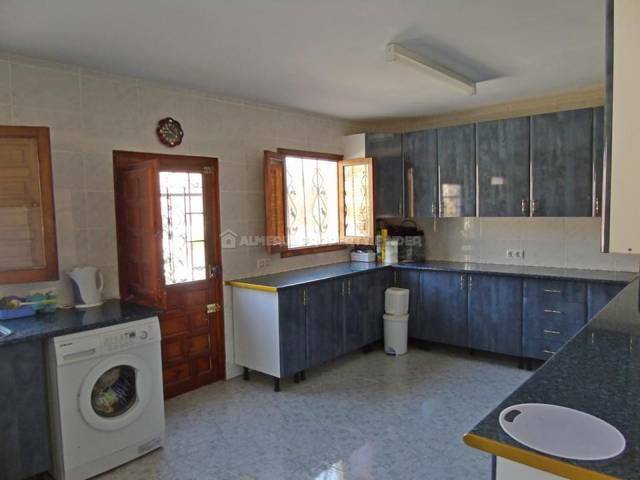 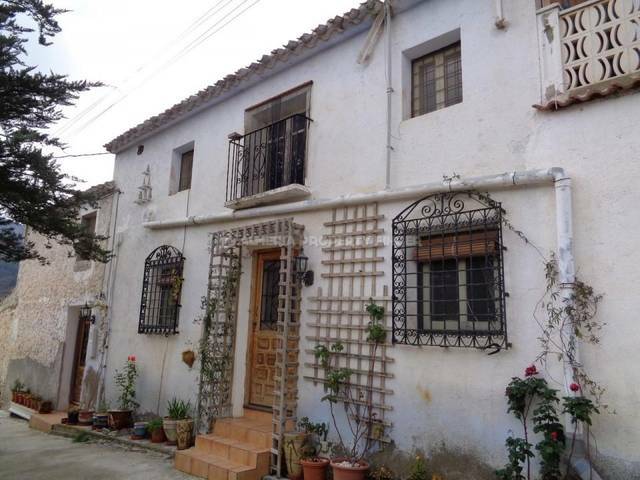 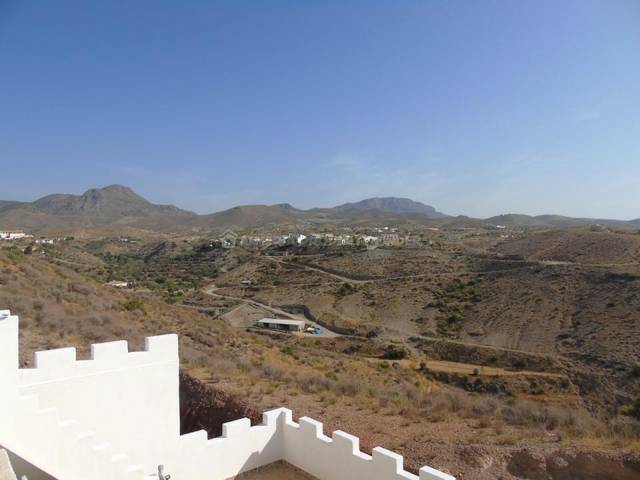 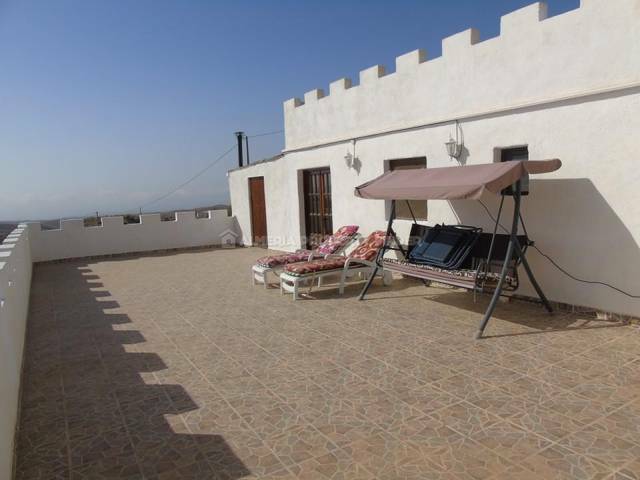 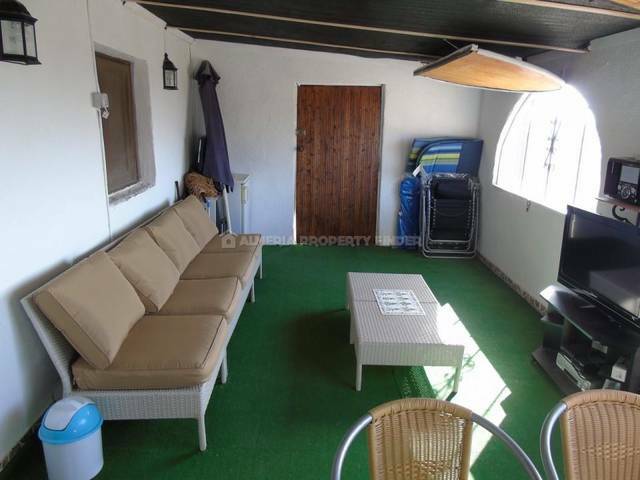 Fabulous two storey 3 bedroom country house for sale in Almeria Province, situated in a tranquil rural area of Oria with fantastic far reaching views. 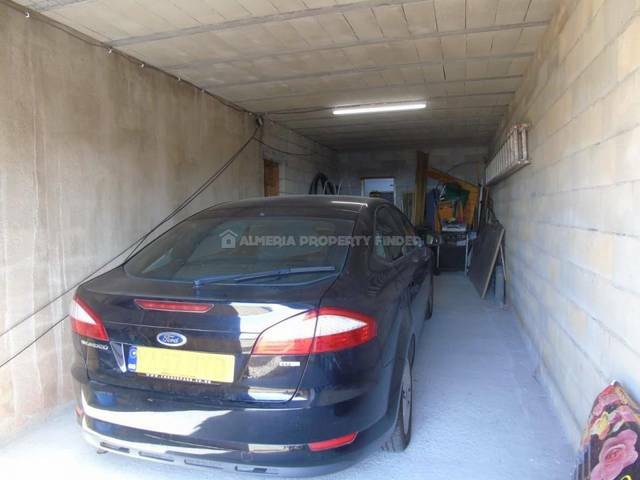 The property was built around 14 years ago and has a build size of 208m2 which includes an integral garage / workshop. 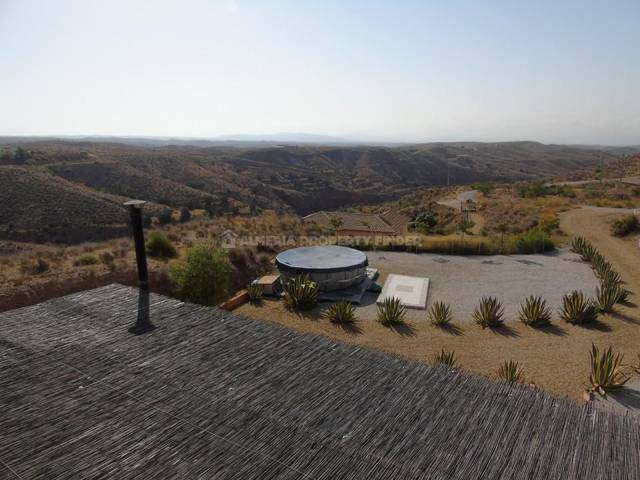 The house is set in a part landscaped plot of 4492m2 with a 5m diameter above ground pool - the vendor is currently in the process of installing decking around the pool and the photos will be updated once this work is complete. 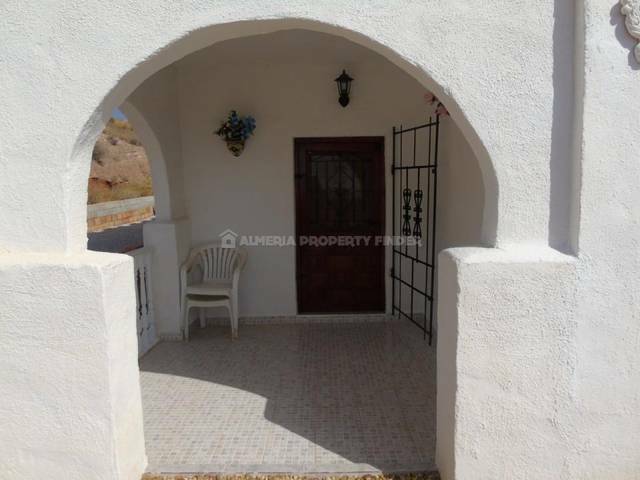 From a covered porch, the front door opens into an entrance hall with stairs to the first floor. 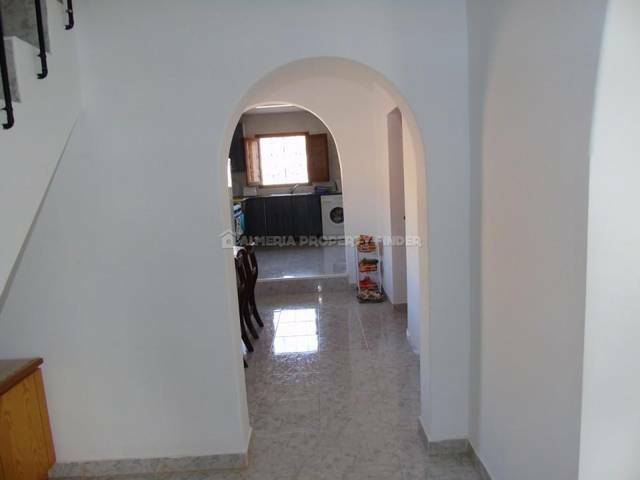 An open archway leads through to the dining room, off which is a large bathroom comprising an oval shaped corner bath-tub, separate shower cubicle with power / massage shower, WC and basin set in a vanity unit. 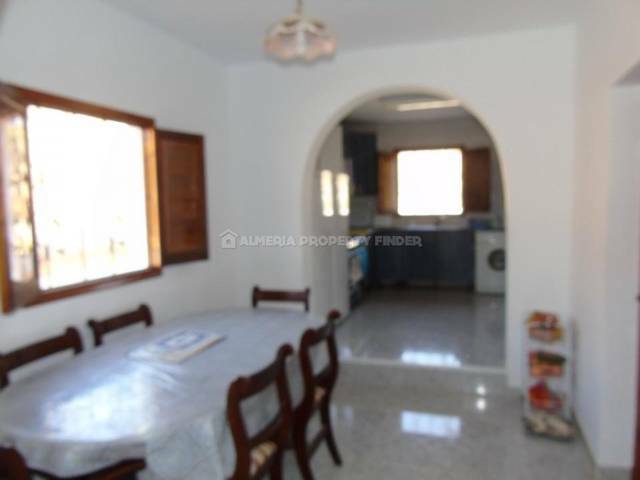 From the dining room, an archway with a step leads up to a bright and spacious fully fitted kitchen. 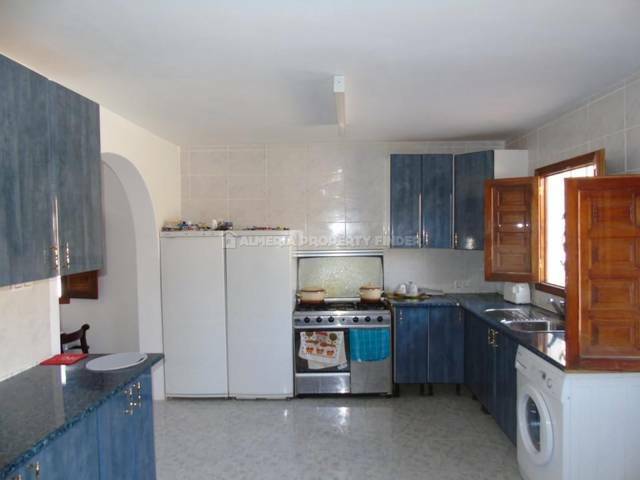 The kitchen offers an ample range of base & wall units and a free standing gas cooker. 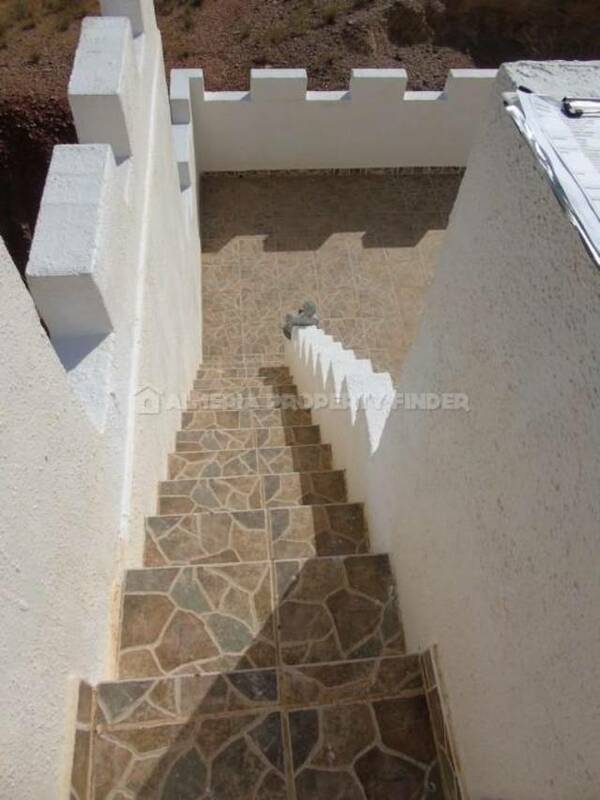 A part glazed door leads out to the rear garden. 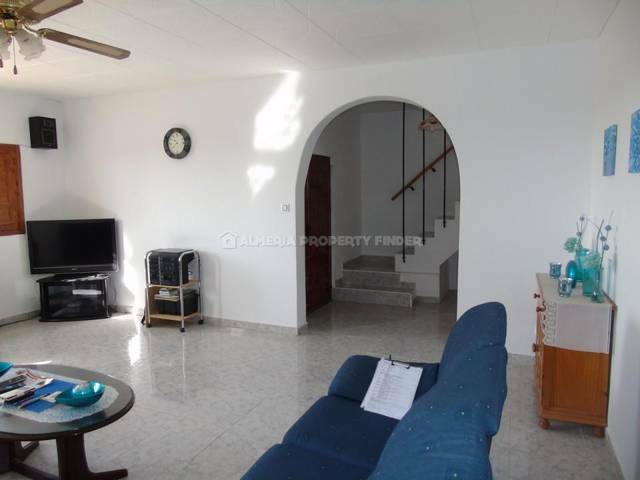 From the entrance hall, an open archway leads into a large sunny lounge with free standing wood burner. 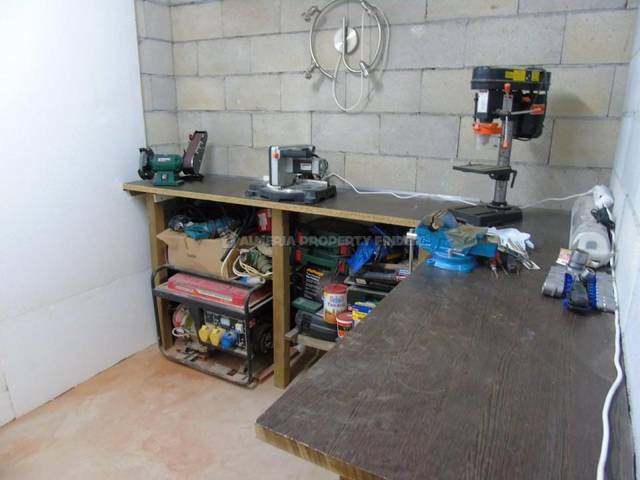 Also on the ground floor is the two car garage with adjoining workshop, and a separate storeroom with external access from the rear of the property. 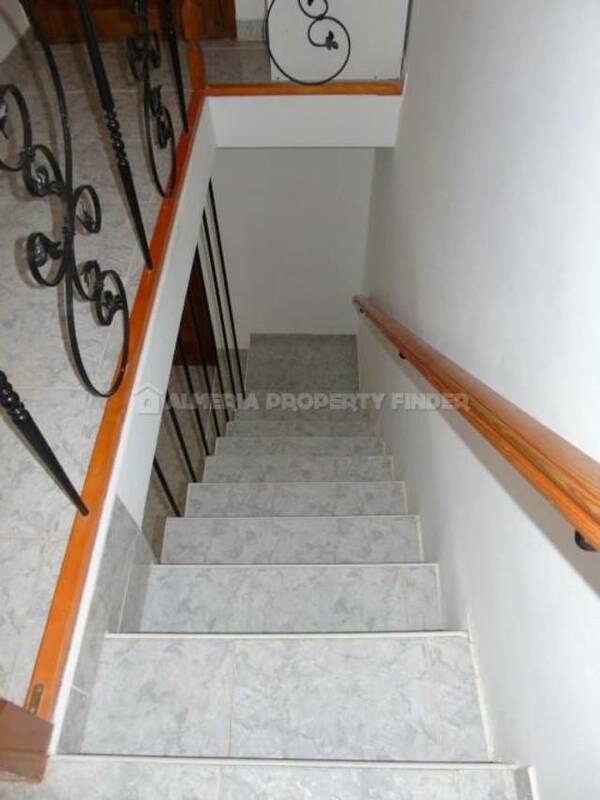 A marble staircase leads up to a landing area on the first floor which gives access to the three double bedrooms, a cloakroom with WC, and a solarium with fly screened arched windows with wooden shutters. 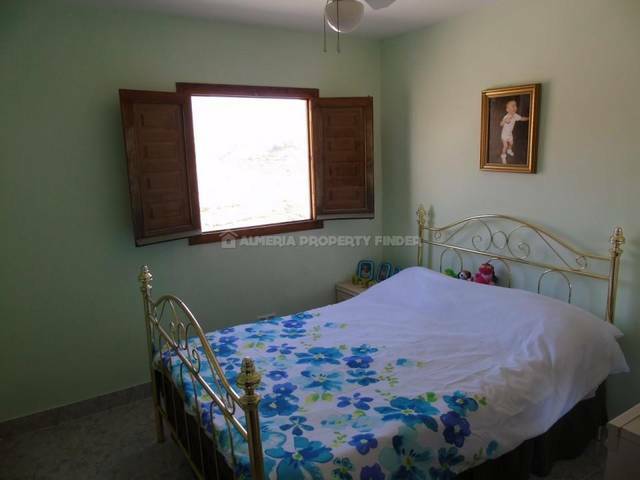 The largest bedroom has patio doors leading out to a lovely roof terrace from which to enjoy the views. 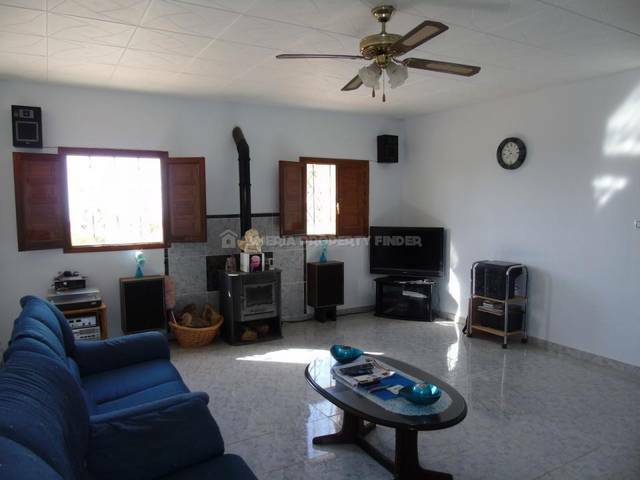 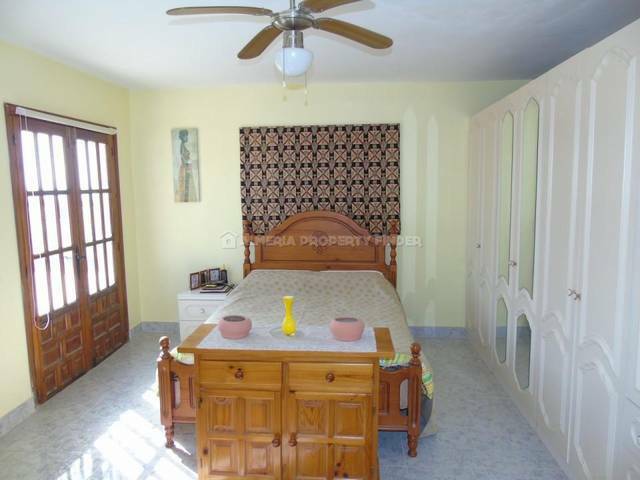 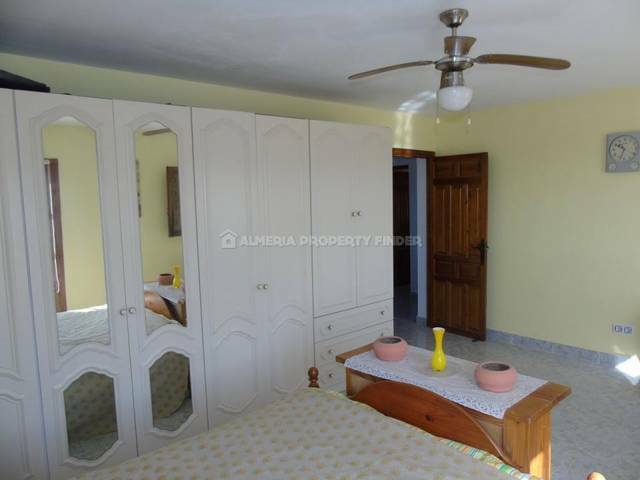 The lounge and all bedrooms are fitted with ceiling fans, and all windows are fitted with fly screens. 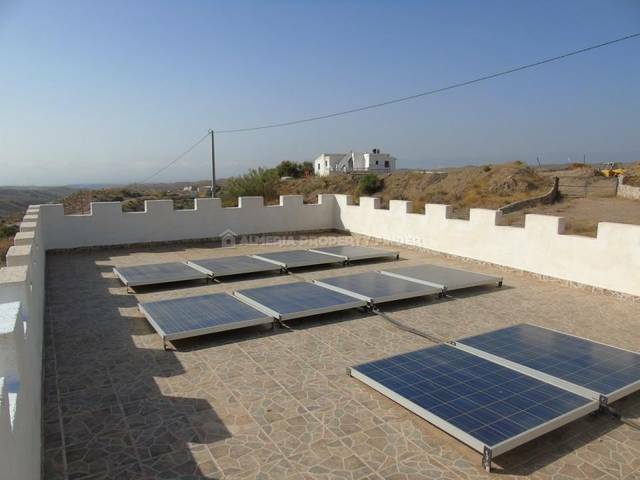 From the first floor terrace, external stairs lead up to a roof terrace which houses the solar panels for the 3.5 KW solar system which is sufficient to run the entire house, although the property is also connected to mains electricity. 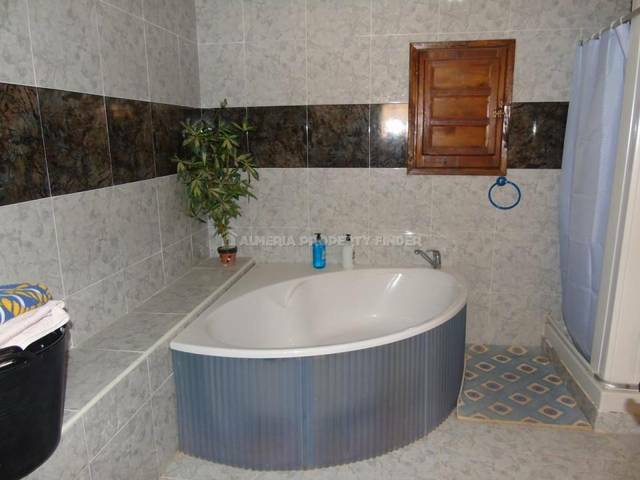 The property also benefits from a bio filter septic tank which does not need to be emptied. 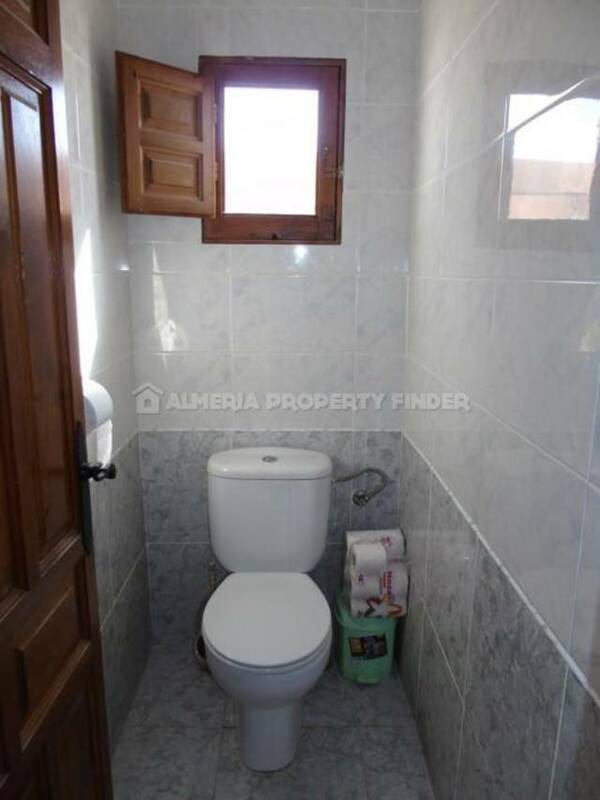 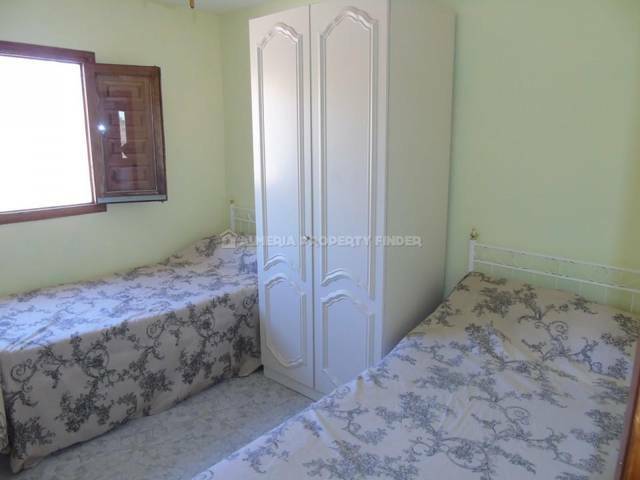 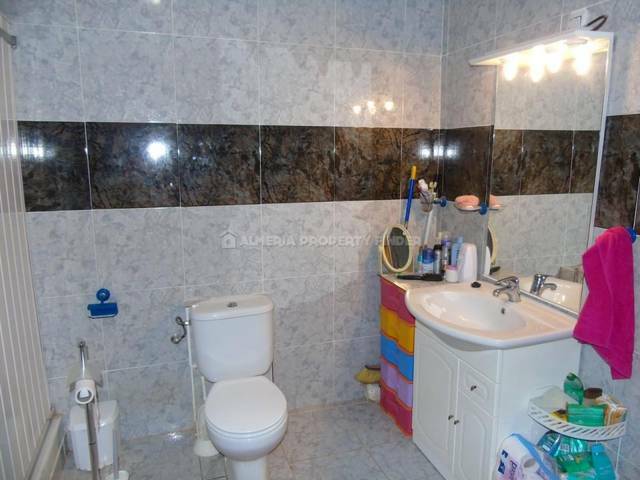 The property is situated around 5 minutes drive from several tapas bars, and the towns of Oria and Albox can be reached in around 20 minutes.